During Prime Minister’s Questions in the House of Commons yesterday, Theresa May sought to reassure those who believe that the current legacy process is weighed against the security forces and in favour of the terrorists responsible for the vast majority of bloodshed in Northern Ireland. In response to a question from the Tory MP Sir Henry Bellingham, Mrs May said the current process of investigating the Province’s troubled past is “flawed” and “disproportionately focused” on the armed forces and police. We have heard this reassuring tone before from Mrs May. Rewind time back to May 9 at PMQs, former Tory defence minister Mark Francois and Sir Mike Penning, a former Northern Ireland and defence minister, led the stinging criticism of the legacy imbalance in terms of the focus on the security forces at the expense of the terrorists. That didn’t go far enough for many Tory MPs who were among the 150 influential figures who presented a letter to 10 Downing Street on Tuesday demanding an end to the “legal witch-hunts” of military veterans who served in NI. On the surface it may seem reassuring, but we must not be complacent. 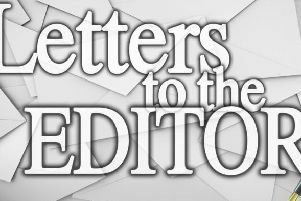 Both the presentation of that letter and Mrs May’s comments in the Commons prompted a strikingly similar and bullish response from Sinn Fein in the name of its MLA Linda Dillon. That party’s view of what happened over the course of 30-plus years is divorced from reality, as evidenced by Gerry Kelly’s recent outlandish claim that the British government was the main protaganist during the Troubles. Sinn Fein will be determined to get its own way, and away from all the sound rhetoric, it is incumbent on Mrs May to resist republican pressure and back up her public statements on legacy with actions.